Bath and North East Somerset Council has decided to outsource its archaeological services following the departure of its senior archaeological officer, Richard Sermon, and a review to reduce costs. Richard Sermon took voluntary redundancy in August and the Council now has no archaeologists at all in post. Bath & NE Somerset is looking to make savings and archaeology is one of the areas that is being targeted. It now seems the Council will dispense with having its own archaeological staff and buy services in. 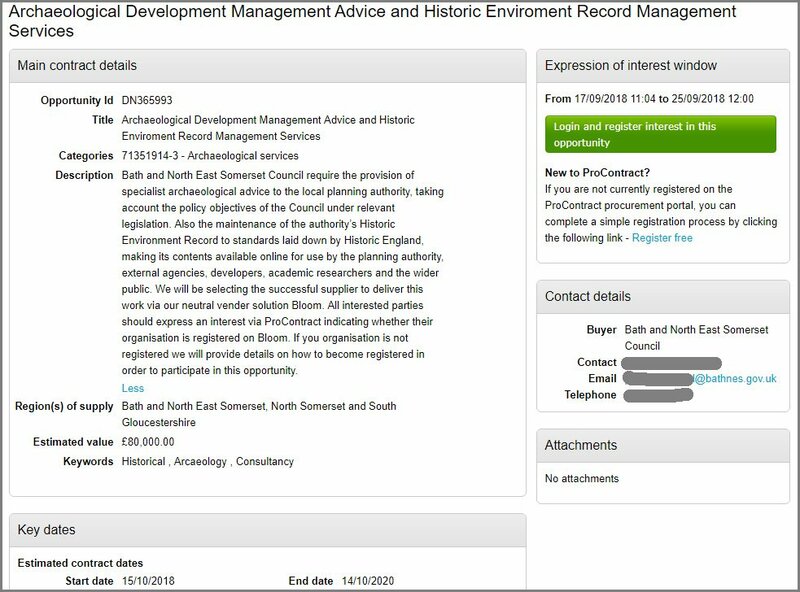 A posting on the ProContract procurement portal on the 17th September invited expressions of interest to supply specialist archaeological advice to the Council and maintain its Historic Environment Record (HER). The Council believes its archaeological responsibilities could be met for just £80,000 over two years.